Be organised and never forget a thing by squeezing it all into this Nike Hayward Futura Backpack in Red and Black. 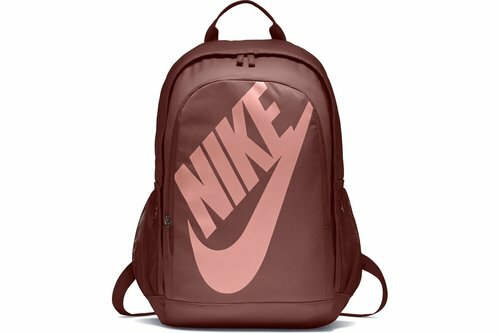 The Nike Hayward Futura Backpack features a padded mesh back and adjustable shoulder straps for comfort on the move. This bag has a large main compartment with dual zips to store the majority of your belongings. There is also a smaller front compartment that allows to separate and organise your valuables.